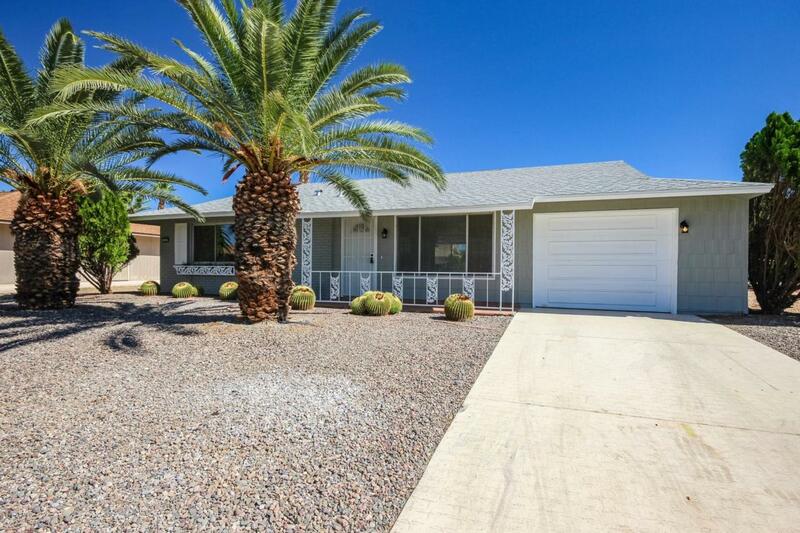 Charming home in Sun City with curb appeal! This beautiful home boasts an array of upgrades! 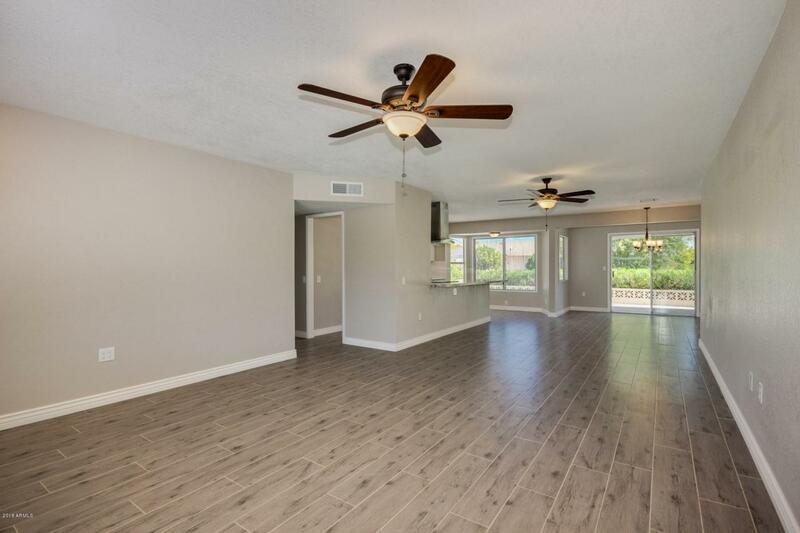 Wood style tile and this open floorplan are only a few of the features you will enjoy. Gorgeous granite countertops, stainless steel appliances and white cabinetry finish your new kitchen off with the utmost taste. Large windows hosts perfect natural lighting! New carpeting throughout combined with the neutral palette, embrace your furnishings creating your new home immediately. 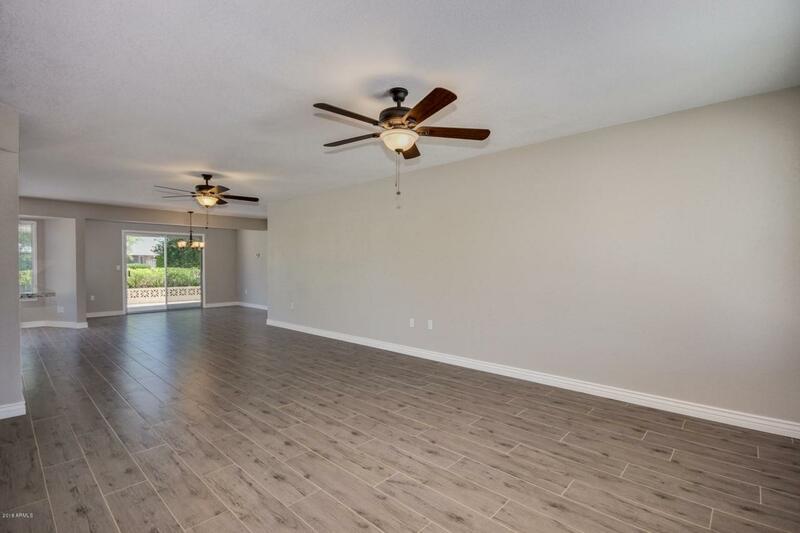 Enjoy the outdoors on your partially covered patio and zero maintenance yard. 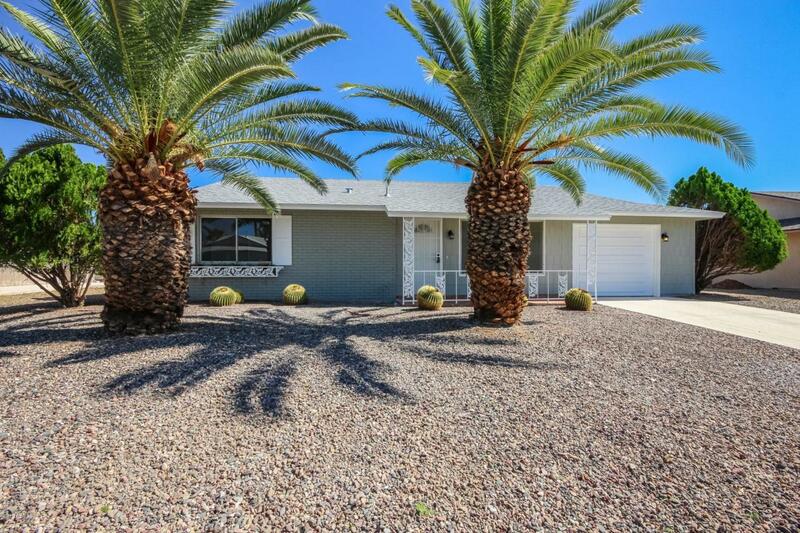 This perfect home is located in an established neighborhood and near all the amenities you will need. Your new home is clean, vacant and move-in ready! The only thing missing is you!